Continu is the modern Learning Management System (LMS) built for today’s workplace. With Continu, organizations can seamlessly train employees, customers, and consultants through one easy to use learning suite. Continu makes it easy to author, upload, assign, and assess learners in a user-friendly environment. Given Continu’s ease of use and user-centric approach, many organizations utilize Continu as both a Learning Management System and Intranet platform, expanding the capabilities and engagement of a traditional learning experience. For more information about Continu, please visit www.continu.co. 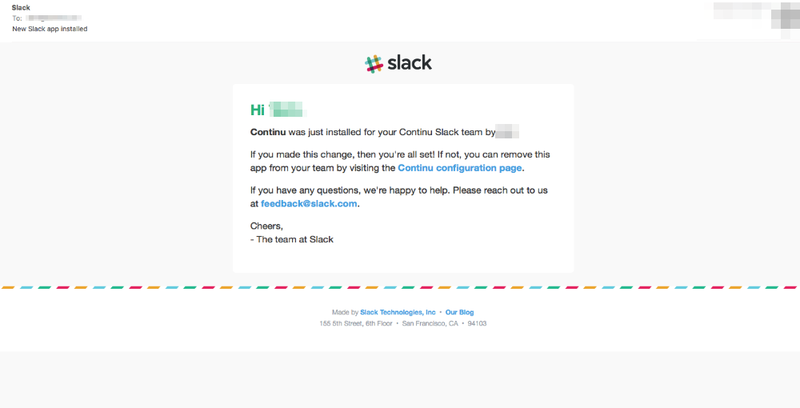 The Slack and Continu integration allows your users to view notifications from Continu when content is shared, assigned or completed. It also allows users to search for any content that is available in Continu using specified keywords and phrases. 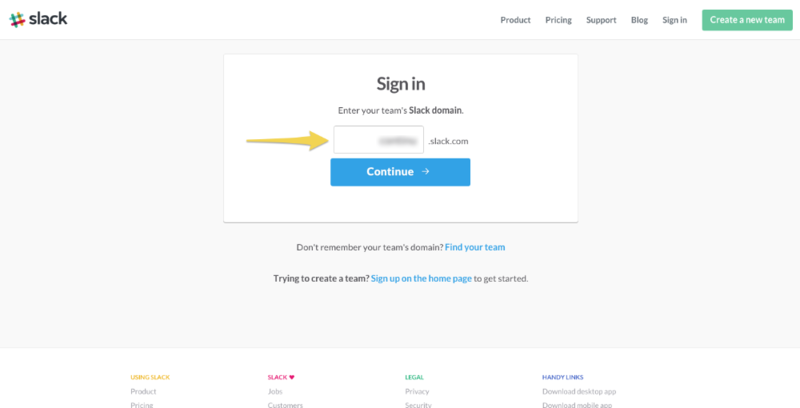 Step 8: Sign into your Slack account with either Google or by entering your Slack username and password. 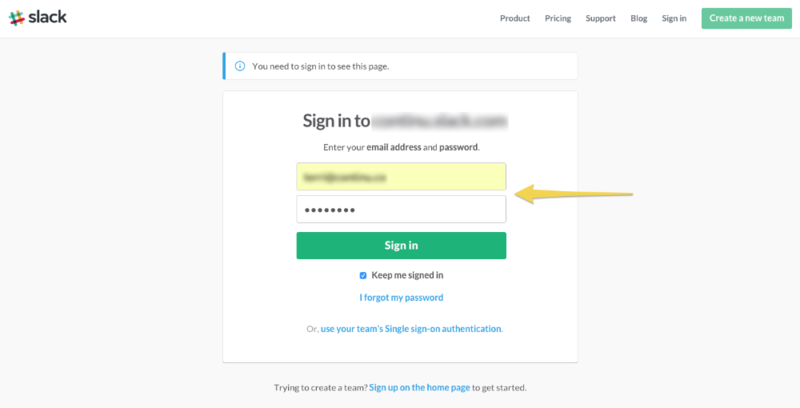 Step 9: Enter your details into the sign in page. 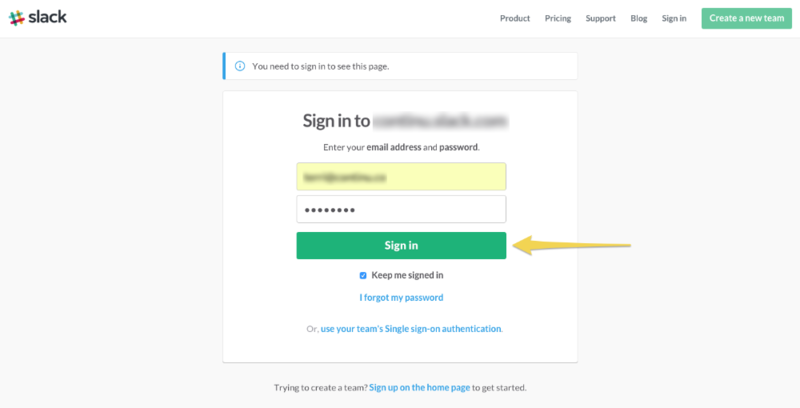 Step 10: Click the Sign In button. 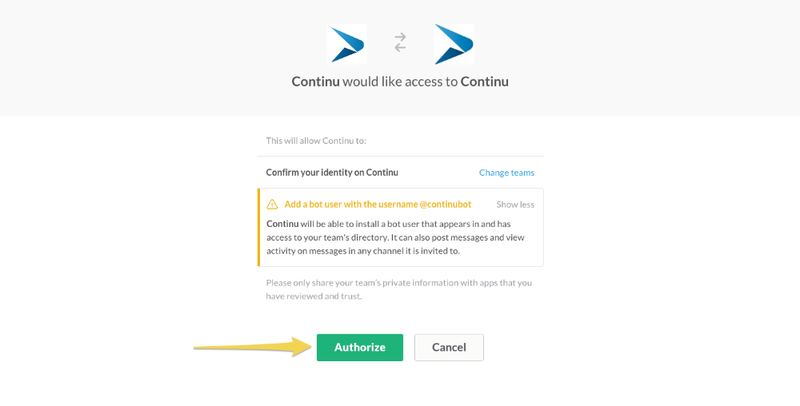 Step 11: You will be asked to authorize Continu for your team's Slack account. 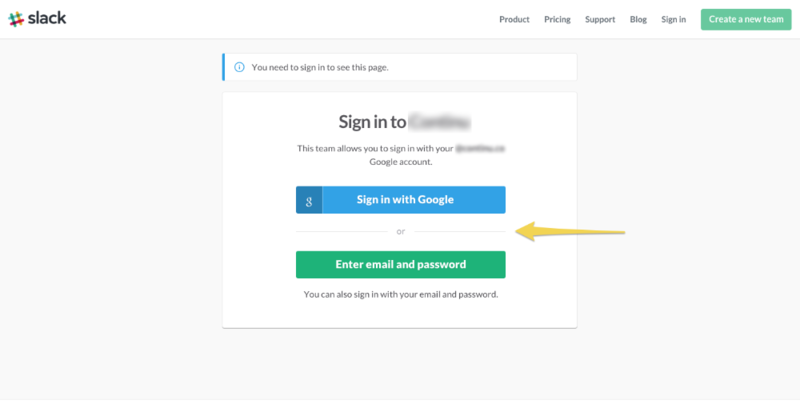 Click the Authorize button to grant access. Step 12: You will receive an email to confirm your Slack integration with Continu. searches all available content in Continu.